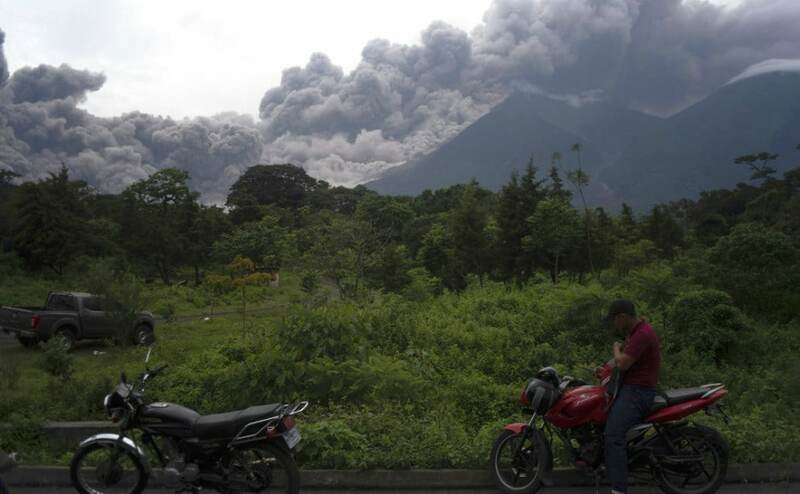 Guatemala City: The death toll from the eruption of the Fuego volcano in Guatemala on 3 June has increased to 114 after another four bodies were found, according to authorities. 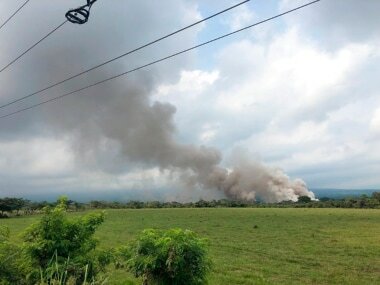 Conred national disaster coordinator brigades, firefighters, army troops and international experts — aided by surviving local residents — on Monday entered so-called "Ground Zero" in the community of San Miguel Los Lotes, in Escuintla province, which was buried under volcanic ash and devastated by pyroclastic flows, reports Efe news. Using picks and other tools, along with some heavy machinery, recovery brigades found the four bodies in the ruins of the village and under the tonnes of volcanic material. The victims appeared to be members of a family. 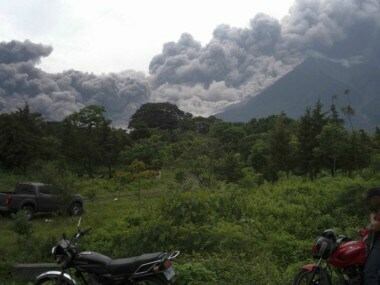 The area reeks of sulfer and recent rains have hardened the pyroclastic flows of volcanic material that have moved down the mountain's slopes. Authorities say there is zero possibility of finding any survivors in the devastated areas. Conred said that because of rainy conditions, search operations were suspended on Monday but will resume on Tuesday. Insivumeh scientific agency also reported that volcanic activity within the mountain continues, including frequent and abundant emanations of ash and gas and up to nine explosions per hour, activity that is causing repeated avalanches of fine ash and other material along the southeastern flank. Health Minister Carlos Soto said that the more than 4,000 people being housed in shelters are being attended to by private organisations such as the Rotary Club. According to volcanologists, eruption records of Fuego, one of the country's most active volcanoes, dates back to 1542.